This Blog has been transferred to Global Memo. I have moved coverage of the 2013 election to Global Memo. You can read the posts to date and future posts on that site. There are a number of recent articles in the world press dealing with the candidacy of Rachad Farah but relatively few dealing with that of current UNESCO Director General Irina Bokova. The coverage of DG Bokova is primarily concerned with her functions in the role of Director General. This year there will be an election to determine who will be the next Director General of UNESCO. The election is especially important because UNESCO has been experiencing a financial crisis and because its operations have been seriously criticized by some member states. The Director General in the 2014-2018 period will be expected to lead reforms to increase the effectiveness and efficiency of the Organization, and possibly to lead in meeting a financial crisis while assuring the Organization continues to promote peace through its efforts in education, science, culture and communications. One of the most important decisions of the Executive Board and the General Conference is the selection of the Director General of UNESCO. Yet the National Commissions in the past have had little or no opportunity to learn about the candidates for the office. In the 2009 election, candidates were allowed 20 minutes to address the Executive Board and 30 minutes to answer questions, with no answer lasting more than 5 minutes. Moreover, the meeting in which this occurred was closed. There was no opportunity for members of national cooperating bodies to view the presentations. While candidates did publish vision statements on the Internet and while many of them visited capitals of member states or participated in UNESCO activities, they remained largely unknown to the members of the national commissions of UNESCO's member states. The Executive Board will meet in April and will consider the procedures to be used in interviewing candidates this year. They will probably opt for an equally closed process. I am informed that "a number of UN agencies hold more open discussion between candidates and the Board, even publishing the dialogue. The IMO and FAO elections in 2011 were done very well." I believe it is time for UNESCO to open its selection process in order to assure that the most qualified candidate is elected Director General. Importantly, the National Commissions should be empowered to carry out their duties of advising their representatives at UNESCO on the qualifications of the candidates. In order to reduce costs, it might be useful to hold one or more other meetings in European venues, perhaps by the Dutch, German, Portuguese or Spanish national commissions. The hosting bodies would coordinate on the timing of the meetings. The hosting National Commission would decide on the format for the discussion and name one or more moderators. They would jointly issue invitations to the candidates. The discussions should be streamed on the websites of the hosting national commissions. This is crucially important because in that way all national commissions could see the discussions, and the discussions could be shared widely with the educational, scientific and cultural communities that UNESCO serves. This is a recent press release from Rachad Farah. African and South American Heads of States agreed to support Farah's bid for UNESCO Director General. The 3rd Africa-South America Summit held on 22 February 2013 in Malabo (Equatorial Guinea) supported the candidature of Rachad Farah, Djibouti's Ambassador to France, for the position of Director General of UNESCO. A motion of support adopted by the leaders from both continents agreed that they would work together in favour of Ambassador Farah's candidature. This 3rd Africa and South American Summit convened by the African Union (AU) focused on "Strategies and mechanisms to strengthen South-South Cooperation". The core objective of this gathering of Heads of State and Governments was to improve the cooperation between the two continents, especially in the area of socio-economique development of African and South American Countries. The ASA endorsement comes briefly after the African Union Heads of States supported Rachad Farah at the recent AU summit in Addis Abeba. This summit called for "a mobilisation of all countries on the Continent to support and strengthen Rachad Farah's campaign." Farah also received the support from the Organisation of Islamic Cooperation (OIC). Only last week, the Community of Sahel States (CEN-SAD) endorsed Farah's candidature. Were all the nations belonging to the African Union and the Organization of Islamic Cooperation to vote as a block then Farah would be a favorite for the election. However, in past elections for the UNESCO Director General countries have not always followed the endorsements of their regional bodies. The rules used for the election of the Director General in 2009 were relatively complex. I understand they are being reviewed and will possibly be modified for the election this year. In December he sought the support of Ali Bongo Ondimba from Gabon for his candidacy. "L’Ambassadeur djiboutien auprès de l’Organisation des Nations Unies pour l’Education, la Science et la Culture (UNESCO), Rachad Farah, a été reçu le mardi 18 décembre dernier à Libreville, par le Président gabonais, Ali Bongo Ondimba, en vue de « solliciter le soutien du Gabon à sa candidature » à la Direction Générale de l’UNESCO. Indique une source officielle." There is a good article in SciDev.Net by Yojana Sharma on the coming election for the post of Director General of UNESCO. Irina Bokova, director-general of UNESCO (UN Educational, Scientific and Cultural Organisation), faces an early challenge to her bid to secure a second four-year term, putting in doubt her radical proposal to merge the organisation's science, social science and human sciences programmes. At a meeting with UN secretary-general Ban Ki-moon in September, Bulgarian president Rosen Plevneliev announced he will nominate Bokova for a second term beginning in October 2013. But now Djibouti has nominated its ambassador to France, Rachad Farah, with the backing of the Organisation of Islamic Cooperation (OIC). The early announcement took diplomats by surprise. A rival bid would not have been expected until early next year. "It seems like there will actually be a race for the office," says John Daly, former president of the lobby group, Americans for UNESCO. "It is uncommon for the incumbent to be opposed — the last four director-generals averaged ten years in office and the majority served two terms." The early announcement indicates that Djibouti will need a year of 'shuttle diplomacy' to drum up support, while diplomats in Paris have said that Bokova also needs a year of lobbying to convince member states that she deserves another term. Rumors are circulating that several other nations are considering making nominations. The rumors include names of a couple of former senior UNESCO staff being considered by their governments. 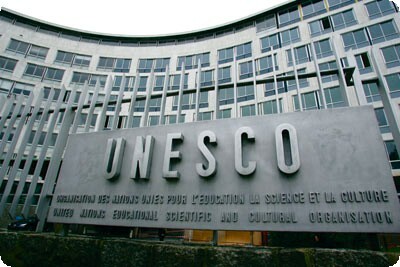 Individuals are suggested for the position by the member states of UNESCO. Usually the suggestion of a specific individual is made by the person's own country, but not always. The 58 member Executive Board reviews the slate of candidates in its meeting just prior to the biannual meeting of the General Conference. The candidates are given the opportunity to meet with the Executive Board at the time. The Executive Board votes on the recommendation to the General Conference. That is the way the process is supposed to go. However, when Luther Evans was elected, he was serving as a member of the Executive Board. While not previously suggested by his government, the Executive Board nominated him rather than the suggested candidates. 1. At least six months before the expiry of the term of office of the Director-General or as soon as possible in case of vacancy at any other time, the Executive Board shall invite Member States to suggest, confidentially, the names of persons who might be considered for the post of Director-General, requesting them at the same time to provide full biographical details regarding these persons. 2. The Executive Board shall consider in private meeting all the names so suggested, together with any proposed by Members of the Board, provided that no candidature shall be considered unless biographical details are available. 3. The person to be nominated by the Executive Board shall be chosen by secret ballot. 4. The Chairman of the Board shall inform the General Conference of the candidate nominated by the Board. The Executive Board may define more specific procedures as long as they conform to those defined in the Basic Texts of UNESCO. The last election was closely fought, with four ballots necessary to select a final candidate (see posts from 2009 on this blog). The General Conference at that time accepted the nomination of the Executive Board, although it did not do so unanimously. Irina Bokova, the current Director General of UNESCO, was elected to her current four year term in 2009. A new election will be held in 2013. The election should take place in October and November of 2013, based on the recommendation of the preceding Executive Board meeting. Nominations of candidates for the position must be made well in advance. The former Bulgarian president, Geogi Parvanov, said on Thursday that the current Director-General of the United Nations Educational, Scientific and Cultural Organisation (UNESCO), Irina Bokova, was the most suitable figure to lead the Bulgarian Left party (BSP). Here is the Wikipedia entry for Director General Irina Bokova. Djibouti has nominated Rachad Farah, its ambassador to France and permanent delegate to the United Nations Educational, Scientific and Cultural Organisation (UNESCO), to head the UN agency, Djibouti's La Nation reported Thursday (September 13th). Here is the Wikipedia entry for Ambassador Rachad Farah (in French). Leaked U.S. State Department Report on 2009 election. Wikileaks published the contents of a reporting cable from the U.S. Mission to UNESCO discussing the 2009 election of the UNESCO Director General. Click here to read the cable. "Play politics with Unesco and you defeat its mission"
"Media flurry demonizes Egyptian culture minister"
"Yo ya me he convertido en un símbolo"
The voting in the Executive Board was, as expected, the defining element of the election. Prior to that voting most of the press coverage was framed around the candidacy of Farouk Hosny -- his leadership position in the race and the likely challengers. Perhaps as a result of that framing, several key forces aligned against his candidacy. Arrayed against Hosny were several candidates, the strongest of whom appeared to be two Permanent Delegates to UNESCO (Bokova and Marciulionyte) and an European Union Commissioner (Ferrero-Waldner). The only candidate from the Americas (Baki) appeared as a dark horse who was rumored to have the support of the United States delegation. Candidates tended all to have visible presence on the Internet, campaign brochures, and hospitality suites at key events. 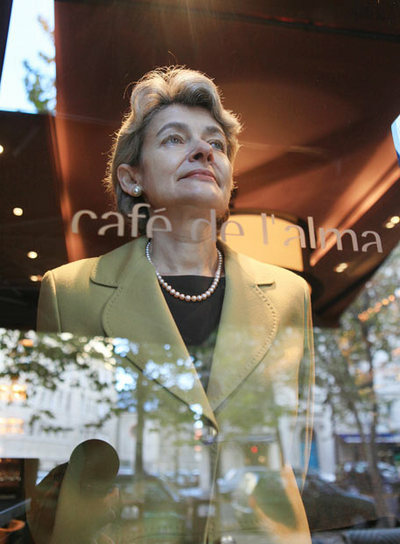 Several of the candidates spent time traveling to UNESCO member nation capitols to promote their candidacies, most importantly the eventual winner, Irina Bokova. The strong support of top officials from their home governments was important for several candidates, suggesting that there was some important behind the scenes electioneering going on. Ultimately, it appears that the negative campaign opposing Hosny was effective. There was little public discussion of the negative aspects of other candidacies until they became serious challengers to Hosny. Ultimately, it appears that Hosny could not expand his lead to a majority of the delegates to the Executive Board and a majority finally coalesced around his principal opponent, Bokova. The General Conference did not unanimously support the recommendation of the Executive Board, but did so by a large majority. Ultimately, the Organization selected its first woman Director General and the first from Group 2 -- the former Communist nations. In doing so, it rejected the bid of the candidate of the Arab nations who would have been the second Muslim and the second person from Group 5 and the African nations. Of course, it is important that all the leading candidates were multilingual, with experience in high level government posts, and counted significant diplomatic experience in their backgrounds. None was a globally recognized leader in education, science nor communications. Indeed, the only scientist in the field got few votes and dropped out early. Hosny, as long term Minister of Culture of Egypt, was the only candidate with major credentials in management of one of UNESCO's key sectors. Ursula Lindsey, a Cairo based reporter, published this article in Middle East Report describing the boycott of Israel by Egyptian intellectuals and defining that as a context for Farouk Hosny's opposition to cultural normalization with Israel during his decades as Minister of Culture of Egypt, and the brouhaha in Egypt when in running for Director General of UNESCO he appeared to some Egyptians to be wavering on that opposition. The article describes also the opposition that arose against Minister Hosny's UNESCO candidacy, led by Jewish intellectuals (but by no means limited to them), based on his history of anti-Jewish and anti-Israel remarks. It does not deal with the opposition to the candidacy based on other factors, and as such is not a complete documentation of the UNESCO election bit of Minister Hosny. Reporter Lindsey does however make a strong case for rethinking Egyptian tactics in support of the Palestinian cause, especially in the more effective targeting of the boycott. Read also "Farouk Hosny: Victim or offender?" Dice estar decidida a impulsar la institución, un tanto paquidérmica y adormecida. "Tenemos que convertir la Unesco en una suerte de conciencia de la humanidad. Nuestra labor es fortalecer el humanismo, la dignidad, el diálogo. Es mi ambición". ¿Y qué papel desempeña en eso el director general? "Yo ya me he convertido en un símbolo", dice sin petulancia. Ama la música, toca el piano, le gusta la arqueología y cuando era estudiante le apasionaban las novelas de ciencia-ficción con trasfondo moral: Ray Bradbury, Stanislaw Lem... Ahora ya no. Para leer en su casa, se olvida de ese futuro al que alude constantemente, y se sumerge en los libros de historia.